“To be grateful is to recognize the Love of God in everything He has given us—and He has given us everything.” This deceptively simple statement gives us such a powerful and peaceful perspective on gratitude. It is a quote from Thomas Merton, one of the influential Catholic authors of the last century. Being grateful for both large and small things in our lives that are significant has many side effects—and none of them are negative. Most of us already know the emotional benefits of gratitude—as we extend it to others as well as when we’re on the receiving end. Interestingly enough, scientific and medical studies give us insight into a range of additional benefits. 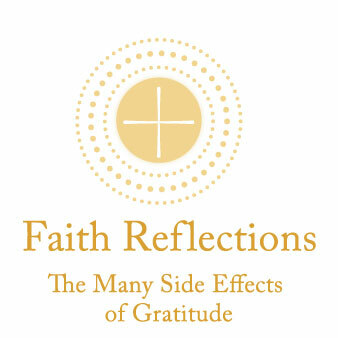 One study by psychology professors R. Emmons and M. McCullough found that gratitude plays many roles in our lives. It is at once an emotion, an attitude, and a virtue. Its benefits include a positive outlook on life, increased optimism and happiness, a stronger sense of connectedness with others, improved sleep, and reduced illness. In another study, Emmons also found that grateful people tend to have reduced blood pressure. Dr. Andrew Weil, MD, cites studies that suggest gratitude can produce positive emotions in us, which trigger physiological reactions that actually reduce stress hormones and improve the immune system. The results of a study on Social Behavior by psychology professors M. Bartlett and D. DeSteno suggest that gratitude makes us more likely to help other people without considering our personal gain. This usually creates more generosity in the original person as well as in the people who are on the receiving end of someone’s kindness and respect. This basically starts a ripple effect of good. As we get ready to celebrate Thanksgiving, we can be thankful that our focus on our blessings fits our faith and improves our lives.